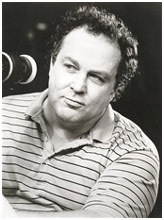 Director Bob Clark was born August 5, 1939 in New Orleans, Louisiana. He attended the University of Miami with his eye primarily on creative dramatic writing. After a stint as a stage director for various regional Miami theaters, Clark was approached by a local producer and soon found himself in the director's chair. His first several films were true oddities. 1966's unreleased The Emperor's New Clothes starred terror icon John Carradine and aimed to be a modern version of the classic Hans Christian Anderson tale. The She Man (1967) was an offbeat 'spy thriller' about a male Korean War deserter who takes a new identity...as a woman. Clark's first full-on horror was 1972's eccentric zombie flick Children Shouldn't Play with Dead Things. Co-written by Clark's college friend Alan Ormsby, Dead Things follows a group of actors who venture to a secluded island and decide to recreate an ancient ritual of necromancy. But soon the dead are rising from a local tomb...and they're hungry for thespian flesh! Writer Ormsby (who also features in the lead role of Dead Things) would pen future horrors including the Ed Gein-inspired Deranged (1974) as well as Clark's own Deathdream (1974). Clearly inspired by William Wyman Jacobs' short story The Monkey's Paw, Deathdream spotlights the suburban Brooks family who receive sad notice that their son Andy has been killed in war. But after Mrs. Brooks beseeches the gods to somehow return Andy home safely, the Brooks get more than they bargained for...a bloodsucking undead zombie. A Canadian co-production, Deathdream is a much more focused horror than Clark's previous Dead Things. Mixing Arthur Miller's Death of a Salesman with equal parts Dracula legend, Dream benefits from a superb performance from lead Richard Backus and an oppressive atmosphere of dread that results in some bloodcurdling zombie suspense. In Dream, the director's capacity for heart is clearly evident with the powerhouse climax (an ending both scarepotent and touchingly poignant). Clark's next horror project would prove his strongest yet. Shot in March/April of 1974 and released just before Christmas the same year, the Toronto-lensed Black Christmas is the director's most stunning terror piece and one of the best pre-Halloween slashers around. With brooding cinematography by veteran Reg Morris, a megacreepy score by Carl Zittrer and a cast at the top of their game (including Olivia Hussey and Margot Kidder), Black Christmas (aka Stranger in the House) easily stands the test of time and trends. It remains not just Clark's piece de resistance but a horror prototype that proves workable to this day. His need for more obvious bloody terrors sated, Clark's follow-up terror project would be 1979's thriller Murder by Decree. A co-mingling of Sherlock Holmes myth with serial killer history (by way of Jack the Ripper), Decree is a top notch mystery buoyed by an ultraclassy cast including Christopher Plummer, James Mason and Donald Sutherland (not to mention David Hemmings). Having more than proven his low budget prowess with zombies and madmen, Clark would spend the beginning of the 1980s yielding more popular fruits from his craft by helming 1982's rowdy and successful Porky's (and its 1983 sequel Porky's II: The Next Day). But from a mainstream perspective, it's 1983's A Christmas Story that gave Clark lasting immortality. A favorite yuletide gem steeped in 1940s nostalgia, Darren McGavin (Kolchak: The Night Stalker) stars as the father of a precocious little boy who only dreams of a BB gun for Christmas. While the film did not make a huge impact upon release, subsequent airings on television and its home video release made it a perennial classic. Tragically, on April 4, 2007, Clark's life was cut short at the age of 67 in Pacific Palisades, California when a drunk driver killed him in a head-on auto collision. His 22-year old son Ariel also died. In terms of a steady horror output, it's true that Clark was not a Romero, Carpenter or De Palma...nevertheless, he undeniably left a lasting mark. Indeed, Black Christmas stands as a crowning achievement and one of the chief inspirations for The Terror Trap.